​Real Madrid are in need of a squad overhaul this summer. They have endured a woeful season after three immaculate years under the tutelage of Zinedine Zidane during which they secured a hat-trick of Champions League titles. ​Madrid have been through one of the darkest periods in their history, crashing out of the ​Champions League at the last 16 stage following a 4-1 humiliation at home to Ajax. That failure compounded a torrid two week spell in which they lost twice to bitter rivals ​Barcelona, those results ensuring it would be a trophy-less year for the 13-time European champions. With that being the case something must change. They have an ageing, misfiring squad crying out for reinforcements and ​Pogba is the player they should be targeting. There are numerous reasons for this, with one of the foremost being his stellar showings for ​Manchester United in recent months. The midfielder may have been distinctly unimpressive towards the start of the campaign, but that was more a reflection of the Red Devils' overall inadequacies. Madrid would be purchasing a player who is genuinely world class. His displays during France's World Cup triumph last summer led to countless plaudits and he is now reaching that level on a consistent basis. What's more, at the age of 26 ​Pogba is coming in to his prime; the Spaniards would be getting the best years out of him. Another motivation for Los Blancos to sign the former ​Juventus player is the role he fulfils in the team. ​Luka Modric, their current playmaker, has been exquisite since arriving from ​Tottenham in 2012, but is now entering the twilight of his career. He received the Golden Ball for his performances for Croatia in Russian, yet mere months later is struggling to rediscover his once-scintillating form. Modric is certainly losing his powers and Real have suffered as a consequence. Whilst ​Cristiano Ronaldo was setting new standards in front of goal, it was the midfield maestro who would make the team tick. He is no longer able to carry them on his weary shoulders, with Pogba being the best possible candidate to take on that creative role. The Croatian is not the only one nearing the end of his time in the Spanish capital. ​Gareth Bale looks set for a summer switch away following intense criticism from his own supporters, leaving the side somewhat short of 'Galacticos'. A team as illustrious as Real Madrid are expected to possess numerous players worthy of such a tag to satisfy their swathes of fans across the globe. 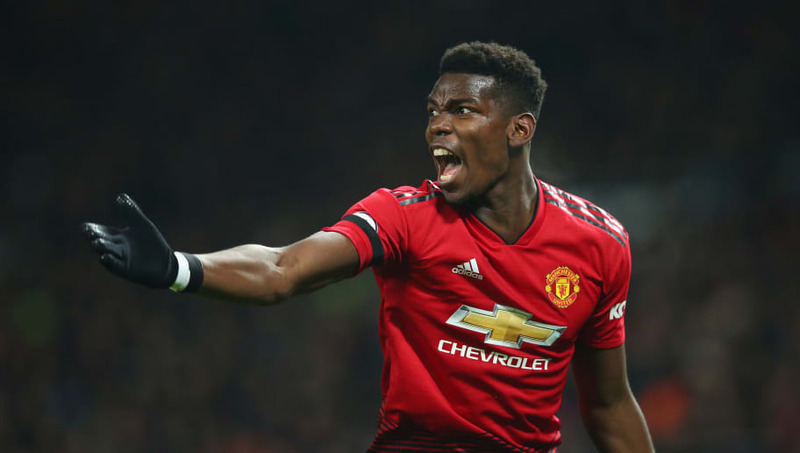 As one of the ​Premier League's most renowned players Pogba certainly fits the billing, with his huge social media following also making him an attractive prospect. The influence he exerts online would be hugely beneficial for the club as they attempt to further expand their supporter base and financial might.